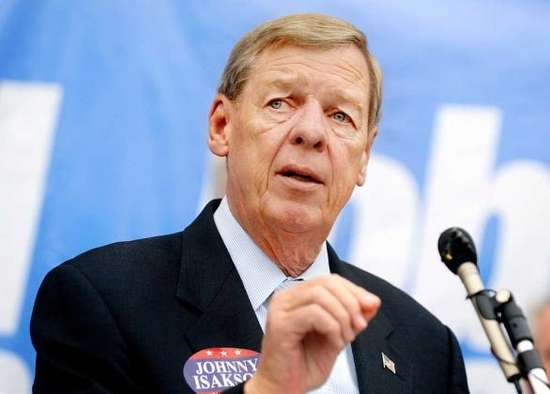 Senator Isakson is a champion of both the Peace Corps and AmeriCorps, and in 2011, he sponsored the Kate Puzey Peace Corps Volunteer Protection Act to provide better security and protection measures for Peace Corps volunteers. In 2018, Senator Isakson introduced legislation with Senator Michael Bennet to exclude the AmeriCorps education award from federal income tax. The Isakson-Bennet bill will ensure that the post-service scholarship remains a valuable and compelling incentive for young people to serve. Isakson’s commitment to making sure America takes care of those who dedicate their lives to serving our country extends to veterans too. As chairman of the Senate Veterans Affairs Committee, he is working to improve the quality of care at VA healthcare facilities, protect veterans’ benefits, and provide access to education and training to help veterans make a successful transition to civilian life.